Not only is Los Angeles the largest city in California ─ it’s also one of the largest in the entire country. However, this lively region isn’t known for having a robust public transportation, meaning drunk driving accidents occur all too frequently in the area. While the California Highway Patrol reported promising news this Fourth of July weekend that DUI arrests were up and traffic-related fatalities were down, the city still has a lot of work to do to keep the streets safe. In fact, a Good Samaritan was stabbed in the hand in June, after chasing down a suspected drunk driver who hit a number of parked cars near the USC campus overnight. Thankfully a group of witnesses were still able to detain the driver until police arrived and the suspect was arrested. Mothers against Drunk Driving serves as a valuable resource to victims of drunken driving accidents and their families. In fact, MADD provided services to more than 61,000 people in 2012 alone. The organization offers round-the-clock support, victims’ rights services, tributes to those killed or injured, and so much more. MADD even has support groups for victims can meet others who are going through the same thing as they are, to help connect them with another person who can relate. 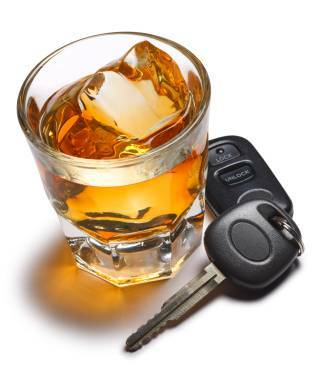 All states classify DUI or DWI as a misdemeanor, which is punishable by up to six months in jail. In some states jail time may be increased in certain situations, such as if the offender’s blood-alcohol level was especially high at the time of arrest. Additionally, those convicted of this crime are typically ordered to pay a fine ranging from $500 to $2,000. Many DUI or DWI offenders will also have their driver’s license suspended for a period of time, which often increases each time the crime is committed. In fact, some states take extreme steps to ensure a convicted offender doesn’t get back on the road, such as suspending their car registration, confiscating the vehicle, and installing an alcohol sensor to their ignition that checks their BAC each time they get behind the wheel. Drunk driving is a completely avoidable and senseless crime. If you or a loved one has recently been hit by a drunk driver, it’s important to know your rights. The LA car accident attorneys at Ellis Law are here to help you get the compensation you deserve. Our talented team of attorneys have more than two decades experience litigating against negligent and drunk drivers in Los Angeles and Southern California. Call 310-641-3335 to schedule a free legal consultation with a member of our firm.